The first crop of Northern Dancer foals, born in 1966, were highly anticipated, especially by his fans in Canada, and made it to the track in 1968. E.P. Taylor’s Windfields Farm yearling sales the year before featured the Taylor bred Northern Dancers and many were purchased by eager owners and trainers. One that was not bought however was a beautiful chestnut colt out of Victoria Regina by Menetrier. His $50,000 reserve price along with a suspect ankle put off many prospective buyers. Victoria Regina was a half sister to Windfields champion and good sire Victoria Park. The colt was retained by Windfields, given the name Viceregal and went into training at Woodbine under the tutelage of Pete McCann. He was a beautiful animal who just happened to be very fast and talented. Viceregal would be the champion two year old in Canada as well as Horse of the Year. He would win the Coronation Futurity, Cup and Saucer Stakes, Summer Stakes, Colin Stakes and the rest of the big two year old races in Canada. He won eight of eight starts and E.P. Taylor was of the belief that he may have another strong prospect for the Kentucky Derby. Alas it was not to be as Viceregal was always bothered by his left ankle and then developed troubles in his right foreleg as well. His first start as a three year would be his last race when he finished third at Keeneland pulling up right after the finish line with a broken coffin bone in his left foreleg. Victoria Regina produced a full brother to Viceregal in 1967. 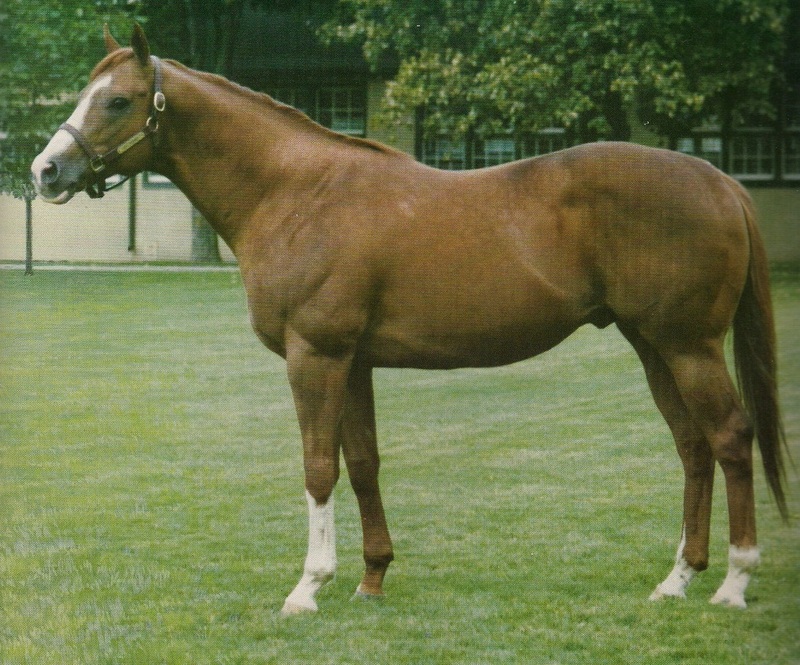 Vice Regent, also a bright red chestnut with a white blaze and three white socks, was a bigger horse than his brother. However he was not be a stakes winner. He displayed a terrific turn of speed in his work outs and in two of his five races but was injury prone and therefore was not as successful a runner as Viceregal. He also suffered an injury from an unfortunate accident when he was spooked by a misfiring car and tumbled into a ditch. He would however become one of Northern Dancer’s best sons as a sire. Given a chance at stud due to his brother’s racing accomplishments, Vice Regent led the Canadian sire list thirteen times and was consistently on the North American top ten list most of his career. He sired one hundred and five stakes winners, ten of which are champions. Vice Regent’s get were fast, strong, durable and could run on any type of surface and distance. Among his champions and best runners include Regal Classic, champion two year old and older horse in Canada. Queen’s Plate winner Regal Intention, champion three year old in Canada. Bessarabian was the 1986 champion older mare. Bounding Away was also a champion older mare. Regal Embrace became the last Queen’s Plate winner campaigned by E.P. Taylor. Vice Regent’s most accomplished son however was North American champion two year old and Canadian horse of the year in 1981 Deputy Minister. Deputy Minister would become Vice Regent’s flag bearer in continuing the Northern Dancer male line. He led the North American sire list twice and become a major sire of Breeder’s Cup winners. Go For Wand (Breeder’s Cup Juvenile Fillies), Open Mind (Breeder’s Cup Juvenile Fillies) and Awesome Again (Breeder’s Cup Classic) are three of his Breeder’s Cup winners. Awesome Again later become a leading sire in North America and sired Breeder’s Cup Classic winner Ghostzapper. Another of Deputy Minister’s sons to become a very good sire is Silver Deputy, he is the sire of champions Archer’s Bay (Queen’s Plate) and Silverbulletday (Breeder’s Cup Juvenile Fillies). All of these aforementioned horses are members in either the Canadian or U.S. Racing Hall of Fame. Deputy Minister has been one of Northern Dancer’s strongest grandsons of influence as a sire to continue his male line dominance around the world. Among other very good stakes winners sired by Vice Regent were Ruling Angel (Canadian Horse of the Year), Brave Regent (Cup And Saucer S, Marine S, etc), Christy’s Mount (Canadian H, Victoriana S twice, Seagram Cup), Arcroyal (Belle Mahone S, Maple Leaf S), Hangin’ On A Star (Breeder’s Stakes, Canadian H, La Prevoyante S), In My Cap (Princess Elizabeth Stakes), Trumpets Blare (Arlington-Washington Lassie S, Atlantic City Oaks etc), Passing Vice (Bay Meadows Oaks), and Deceit Dancer (Canadian Champion Two Year Old Filly). As a sire of stakes producing broodmares, Vice Regent would also excel. In My Cap produced Bright Feather by Fappiano. Bright Feather was second in the Canadian Oaks and then produced Albert The Great when bred to Go For Gin. Albert The Great won The Jockey Club Gold Cup, Dwyer S, and the Widener, Suburban and Brooklyn Handicaps. He was third in the thrilling 2001 Breeder’s Cup Classic to Tiznow and Sakhee. Vice Regent’s daughter Harbour Springs produced Breeder’s Cup Juvenile winner Boston Harbor by Capote. Another daughter named Regent Miss is the dam of Deputy Governor (Eddie Read H etc) by Master Willie, while Regent’s Walk would produce Marquetry by Conquistador Cielo. Marquetry earned $2.8 million with his major wins coming in the Hollywood Gold Cup, the Meadowlands, Mervyn Leroy, San Antonio and Bel Air Handicaps. Victorious is the dam of Belmont Stakes winner Victory Gallop by Cryptoclearance. Victory Gallop also won the Arkansas Derby and Rebel Stakes as a three year old and then add the Whitney and Stephen Foster Handicaps to his win total in his four year old season. All told Victory Gallop won $3.5 million in his racing career. Queen Of Egypt became another daughter of Vice Regent to have a big say in breeding stakes winners. Her daughter Eye Of The Sphinx, by Smart Strike, would win the Woodbine Oaks, as well as the Fury Stakes and Selene Stakes to earn Canadian Champion Three Year Old Filly honours. Later as a broodmare Eye Of The Sphinx produced Queen’s Plate winner Eye Of The Leopard by A. P. Indy, as well as hard knocking stakes winner Deceptive Vision, a full sister to Eye Of The Leopard. This has been a very productive and successful family for Sam-Son Farm, a highly regarded Canadian racing and breeding outfit that has been the top breeder in North America, by percentage of stakes winners bred from foals. Many breeders were reluctant to send mares to Vice Regent at the beginning of his stud career. Viceregal was standing at Windfields Oshawa and his first crops of foals were not old enough to race when Vice Regent began his stud duties. Vice Regent was offered to breeders at a much lower stud fee of $1,500 than his brother’s fee of $7,500. He was bred to “anything and everything” as Mr. Taylor would say. It soon became apparent that the Vice Regent foals had more presence and athletic ability than the foals of his champion brother. Vice Regent’s stud fee reached a peak at $75,000. Viceregal was sold to a leading French stud farm and Vice Regent was retained for the Canadian breeding market. The early assessment of the differences with the get of the brothers would prove to be very prophetic. As his get became more accomplished, Vice Regent proceeded to cover full books of mares from all around Ontario and the north eastern United States. I saw Vice Regent many times at Windfields and I have to say he was very much like his sire in temperament, although in a much larger package as he was a full hand taller. He commanded respect and he had attitude, but was far from dangerous. He was frisky and very intelligent. I used to look forward to see him when I went to Windfields in Oshawa and stop by the stud barn. Reege always came to greet me when I arrived on the scene and would come up to me, looking for his treat he knew I would bring him, whether he was in his paddock or his stall. Vice Regent stood his entire stud career at his birth place, Windfields Farm in Oshawa. He was a highly regarded and well patronised stallion in Canada and elsewhere, a valuable addition to the Northern Dancer sire line legacy. Vice Regent died June 18, 1995 at the age of twenty-eight. He is buried beside his sire at the former Windfields site directly in front of the stallion barn where he lived for most of his life. Consistant sire. I see his name in a lot of stakes winners pedigrees. Nice big good looking horse. I know Vice Regent is revered in Canada, but in my opinion he is underappreciated everywhere else. Just look at Deputy Minister and all the greats that come from his broodmare daughters and his son’s broodmares as well. I had a filly by Regal Classic that was an honest horse and gave me some good competitive foals. Vice Regent IMHO was a great influence on the breed.